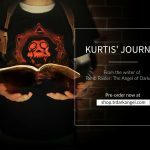 The creative genius of writer Murti Schofield combines with the fan-driven passion of the Dark Angel Symphony team to bring you a unique artefact: Kurtis”Demon Hunter” Trent’s personal journal! 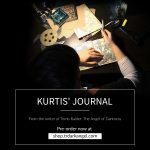 Currently specially discounted and available in a variety of bundles, this A5-sized, 32-page journal has been entirely handwritten by Murti Schofield IN CHARACTER as Kurtis Trent – Lara’s mysterious ally from The Angel of Darkness and last of the Lux Veritatis order. 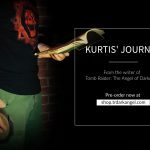 Each page is packed with all-new, original sketches, maps, character profiles, Lux Veritatis lore, and personal musings that chart Kurtis’ journey across the globe as he tracks the bloody trail of “The Monstrum”, aka Eckhart, leader of the shadowy Cabal. It also contains pages “inherited” from Kurtis’ father, Konstantin Heissturm. 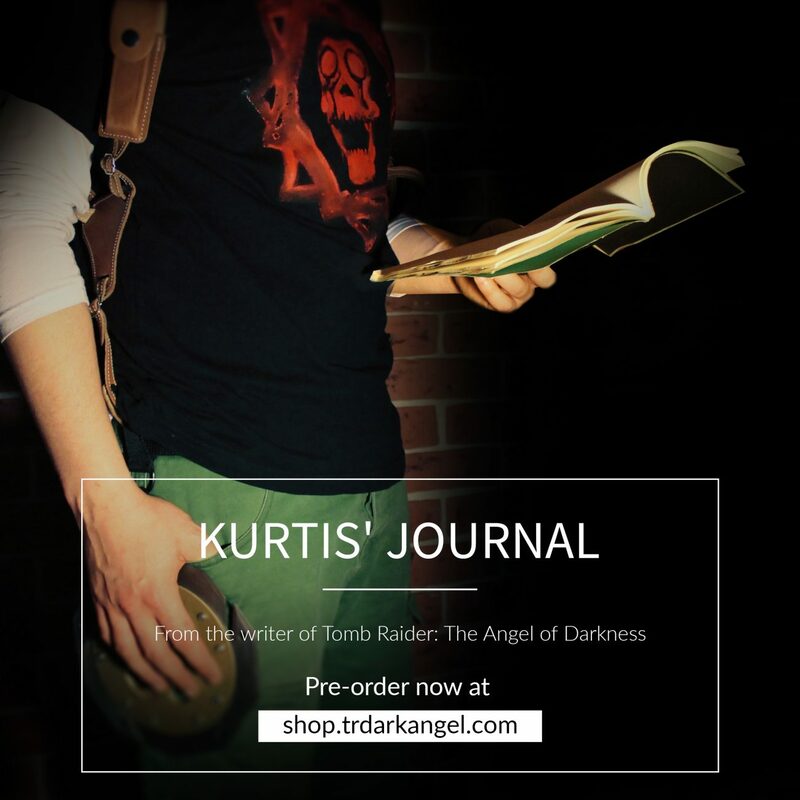 The journal is available as a digital download and as a physical object of movie-prop quality, bound in real leather and scuffed/aged to reflect the hazardous lifestyle of its owner! 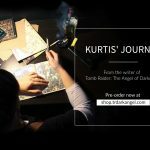 Throughout his wide ranging travels, Kurtis has always, like any true rock n’ roll adventurer, kept a journal – a field record of the challenges he has tackled, the wildly diverse locations he has travelled in, the enigmas he has solved (or tried to), and the characters he has encountered, fought, or put down. These ragged and beaten-up journals record key information from many of Kurtis’ travels and adventures. The Journal is not a narrative. It is not even chronological. It does not explain things or tell a story, except by inference. Instead, Kurtis’ scribbled notes, sketches and observations cover an eclectic range of extraordinary subjects. It is an apparently disorganised accumulation of aides memoire and cryptic musings on what they might possibly mean. To the unaccustomed eye, it may appear as a jumble of unconnected images and data that only highlight questions rather than provide answers. But there most definitely is order… of a kind. Sometimes there are entries lifted or copied from his father Konstantin’s inherited journal, or even, on occasion, from his grandfather Gerhardt’s journal. The journals themselves are battered and scuffed with pasted-in maps, illustrations, scraps of vellum, sketches, hand-drawn schematics, wax rubbings, pencilled images, codes, glyphs, photos, symbols, cuttings, tracings, and all the untidy jottings of many years’ investigations and study. The wrap-around leather cord loops through a silver concho disc and carries a small replica of a Baetyl training stone carved from bone. The disk is a keepsake from tribal Navajo links on his mother’s side. 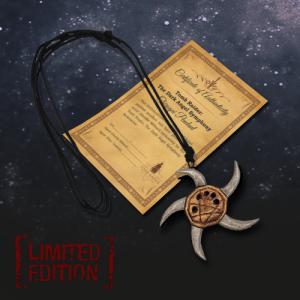 The Baetyl is a token from his early Lux Veritatis training days. 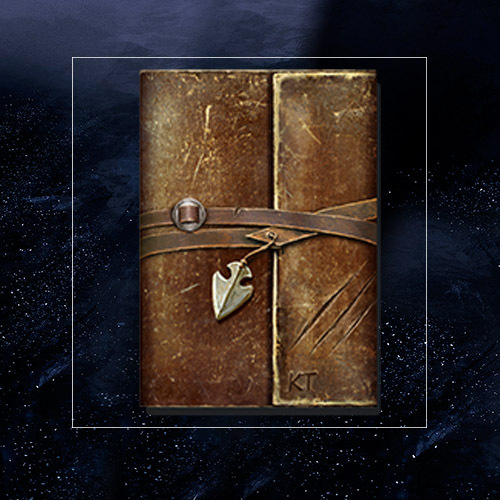 Of course, the Journal will only contain notes on items up to and immediately prior to events in the AOD timeline. 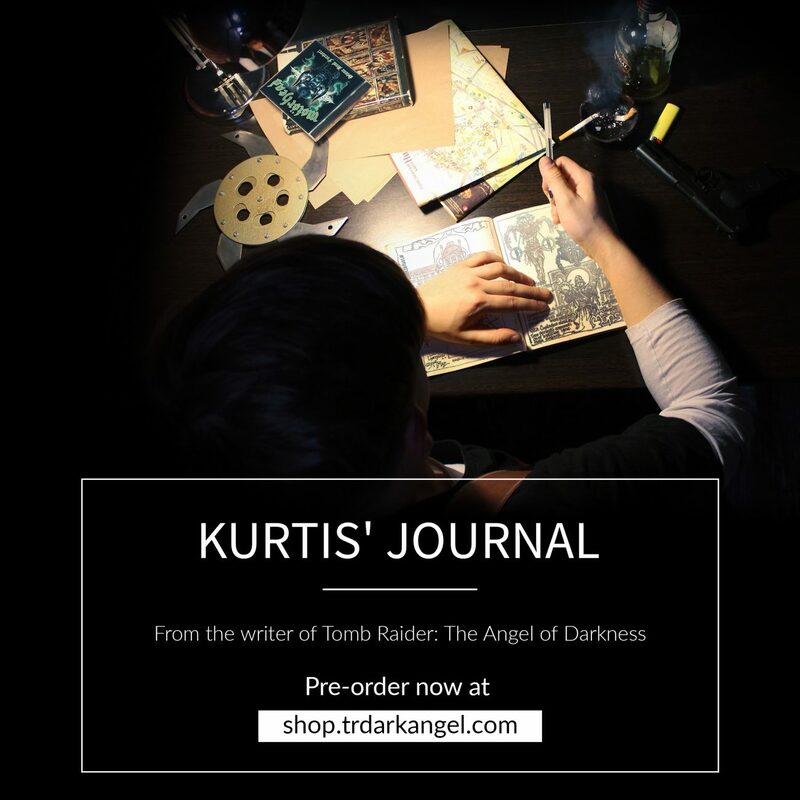 Many of the story elements touched on in the Journal are dealt with more fully in documents and articles dealing with the massive amount of background detail to AoD, and will be available online by the time the K Journals are on release. 1) Eckhardt: jottings on the origins of the Black Alchemist, his work, his cruelly misjudged 500+-year-long incarceration, his release from the Cell of Pain in 1945 by Allied bombing, his aims, abilities, etc. All this background was part of Kurtis’ early LV training years. No source could possibly list everything about Eckhardt, but there is a lot of detail that K remembers or has access to. 2) Eckhardt’s early writings, gleaned from Lux Veritatis archives. 3) Some musings on the origins, nature, and possible locations of the Obscura Etchings and Paintings – or as much as anyone knows apart from Eckhardt himself. 4) Kurtis’ grandfather, Gerhardt, left notes detailing his obsession with John Dee – the Elizabethan alchemist and mystic. Gerhardt was convinced that the location of Dee’s true resting place, his Catafalque, was the location of one of the Obscura Paintings. Dee’s body, did not lie at Mortlake by the Thames, but had been spirited away by Edward Kelley and devotees of the art of Alchemy from the court of Rudolph II. It was taken to a secret vault beneath Kutna Hora Ossuar, 80km east of Prague.  5) The Dee Hexaglyph was supposedly a cast-brass symbol on Dee’s catafalque in that vault. 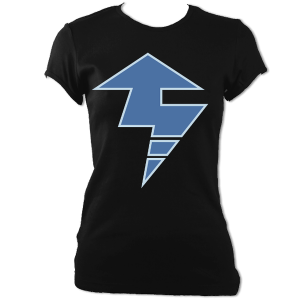 Kurtis later combined a version of this ‘glyph’ and the reoccurring Crâne Hurlant (or Screaming Skull of the Legionnaires) into a T-shirt design seen in AOD. 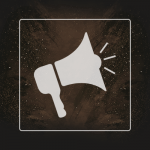 You may have noticed it around. 6) The three Periapt Shards: Kurtis inherited two of these along with the Chirugai after Konstantin was murdered, and he is well aware of how vital all three Shards are if the Black Alchemist is ever to be put down for good. 7) Alchemy, Prima Materia and the processes of transmutation of self and substances; e.g. Solve et coagula, key data where Eckhardt is concerned. 8) The Sanglyph or Bloodsign. There are only hints and guesses regarding this darkest and most closely guarded of Eckhardt’s secrets. Even the members of the Cabal aren’t informed of the nature, potency, and true purpose of this artefact. 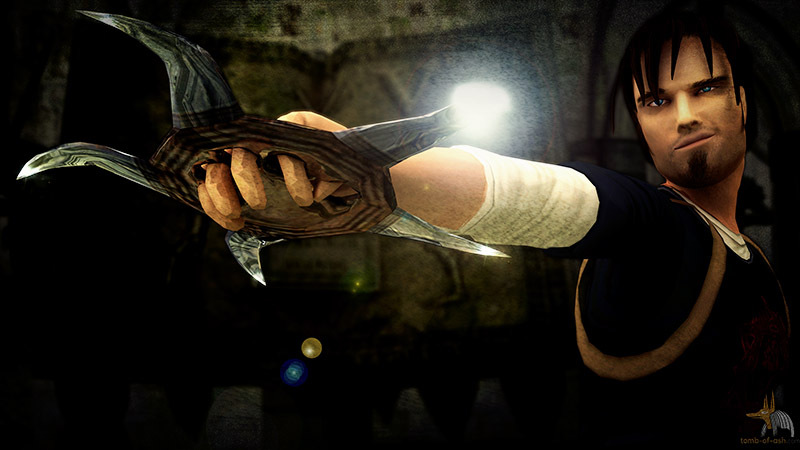 9) The Glove: likewise, little is know by the Lux Veritatis or anyone else apart from Eckhardt (and of course Karel). The Manus Diabolus. 10) The Cabal of Five Alchemists. Brief details of all individuals making up the current Cabal; their backgrounds, origins, traits, specialities, weaknesses, etc. 11) The Strahov: sketched schematics of the security layout, including the possible lower levels where an ancient LV vault holds out against all attempts at penetration by Eckhardt and the Cabal. Possibly, it may house the third and final Periapt? 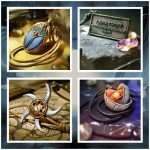 12) The Nephilim: Watchers, Grigori, Enlumened, Gibborim, Peripherati, Bene Elim, Malek, Peri, Hiphil, Elioud. Kurtis has jotted brief notes on the origins, legends, mythic references, possible locations of the Sleepers or Cubiculim Nephili, Enochian references, etc. 13) Vault of the Seven Sleepers or Sarcophagi: possible locations of the remaining Nephilim Sleepers, although information on these are sketchy at best. 14) The Korumal Erebedi or Eternal Guardians, were a prehistoric Order of protectors for the Nephilim Sleepers. The Cubiculim Nephili casks were hidden at various secret locations over a wide area. The KE were constantly under attack by Lux Veritatis forces hell-bent on destroying all trace of the Nephilim race and those allied or loyal to them. 15) Oblique references to Kurtis’ Navajo origins, including the Amerindian-style glyphs of his given tribal name Chicawa, Bearer of Weapons. 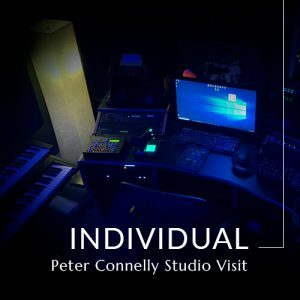 16) Files on incidental characters featured or glimpsed in AoD, including some English adventuress, L. Croft, whose trail keeps crossing his own lines of enquiry and is somehow linked to individuals involved in the Obscura Paintings… and other related matters. 17) Kurtis’ time in the Legion is referred to several times; his Demon Hunter, Chaseur de Démon days, Legionary mottoes, enrolment, name change, and so on. 19) Hints on the relevance of various scientific anomalies or ‘lost’ secrets from history, which either impinge on Lux Veritatis secrets or Eckhardt’s master plan for reviving the lost race of Nephilim. Mouvant. This is a parallel world of shadow secrets, including a hidden LV vault. There are numerous LV chambers containing records that the Lux Order would rather remain hidden. The LV has shameful moments in its past, like any organisation. 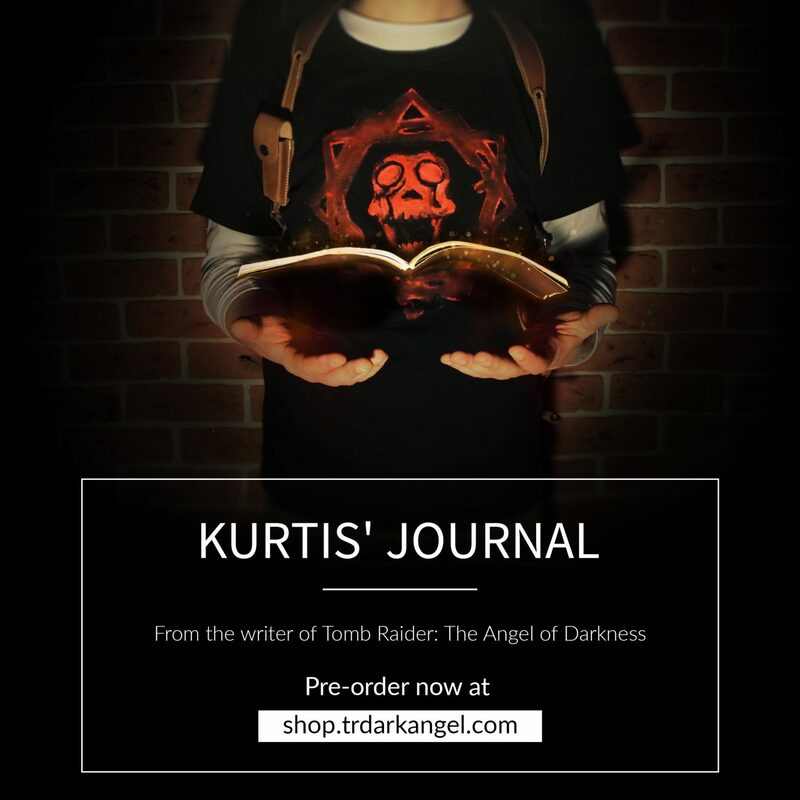 21) The search for various Lux Veritatis secret vaults has been on Kurtis’ agenda for several years. These vaults contain a horde of artefacts, arcane secrets, libraries, stores of artwork, trophies and the elusive Trancing Rooms or Bloodline Rooms, which are basically LV healing chambers. 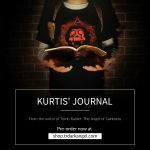 Kurtis has always been reluctant to record much detail of his findings on this topic – they are too sensitive for any journal which, after all, could fall into the wrong hands. 22) There are several such LV Vaults across Europe, Russia, the Americas – everywhere, in fact – although the locations of most have been lost since the passing of the last true LV Adept, Konstantin Heissturm. For example, there was rumoured to be a Bloodline Room, or Trancing Room, beneath Schloss Kriegler. So, too, the The Vault of Trophies below the Strahov complex is an ancient LV stronghold containing many items of arcane power and importance. 23) Baetyl training stones/knife weapons/arrowhead artefacts are a key part of LV initiate training. Their relationship to other ferrilium ‘sky iron’ LV weaponry, such as the Chirugai, is greatly expanded upon in documents and articles that will be available online by the time the K Journals are released. 24) The secret subterranean city of Cennet and Sentinel Stones set up by the Korumal Erebedi, that guard their entrances and passageways. 25) The recent bizarre outbreak of Monstrum killings in Paris is touched on, and there are musings on the bizarre nature of the killings. Kurtis knows the perpetrator is Eckhardt and that he is ‘harvesting’ elements required to fulfil his grotesque ritual of completion for the Nephilim revival. 26) At the opening of AoD, Kurtis has been tracking the transportation of a massive stone sarcophagus from Cappadocia to the Strahov in Prague, which he has already reconnoitred. 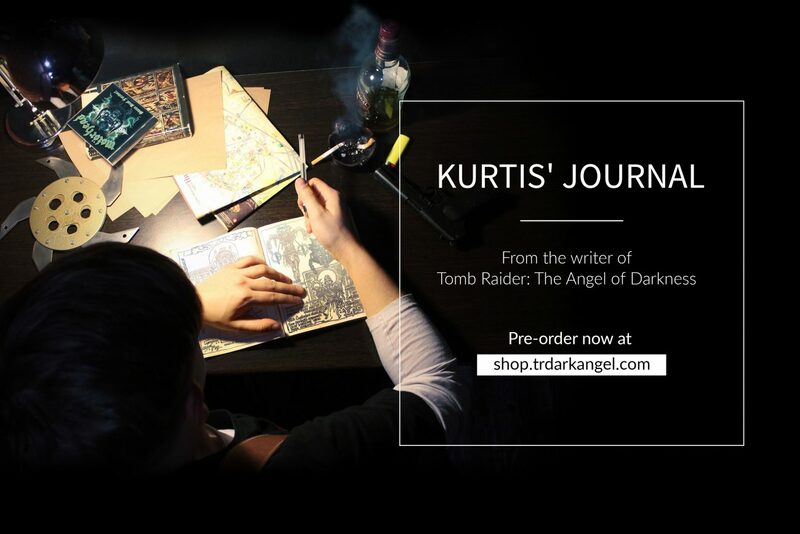 27) His investigations have brought Kurtis to Paris, where he has worked the streets and knows the major players who Lara also runs into when she surfaces in the city. Freelancing for Gunderson’s Agency under an assumed name, K has been monitoring the Cabal activities and gets wind that something is going down in the Louvre when Agency forces are despatched to ‘collect’ a certain painting. 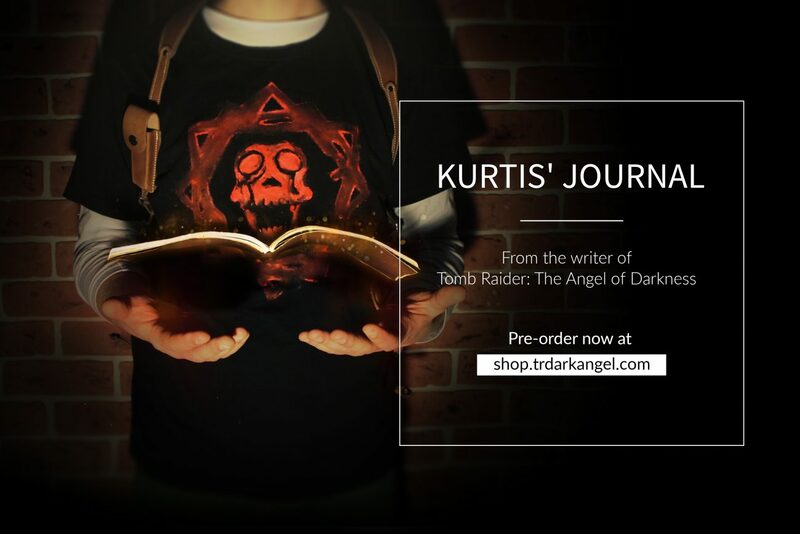 Kurtis’ life trajectory has been one of intensive training in the occult, followed by rebellion, adventure and, in the days leading up to the AOD timeline, a mission of vengeance. During his rebellious phase, he chose to exclude himself from the main areas of conflict between the Lux Veritatis and the Cabal, preferring to carve his own path through life. However, when his father was treacherously murdered, he determined to track down those responsible – in particular, the insane Black Alchemist, Pieter van Eckhardt. One way to bring this monstrous entity to retribution will be to gather all three of the Periapt Shards. 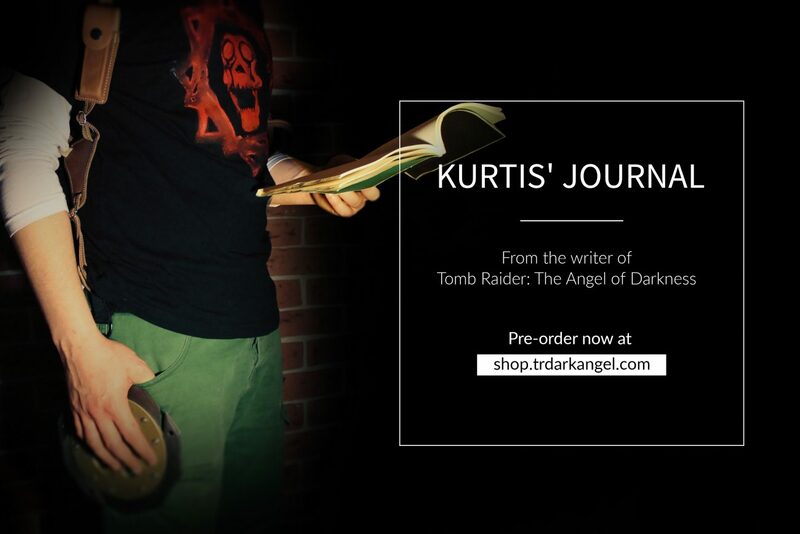 Even before taking on the mantle of dark avenger, Kurtis’ natural inclination towards extreme activities of any kind had led him to countless bizarre and exotic locations. He has worked as a freelance enforcer, problem solver, blade-for-hire, strong arm, minder, mercenary, security agent, and explorer in hot spots all around the world from North Africa to Turkey, The States and all over the European continent. It is worth noting that, as evidenced from his Demon Hunter days in the Foreign Legion, the arcane and sinister Shadow World never truly left him alone. His LV upbringing and inherited bloodline ensured that, whatever he did, the bizarre would constantly erupt into his life. It is all recorded in his scuffed journal! 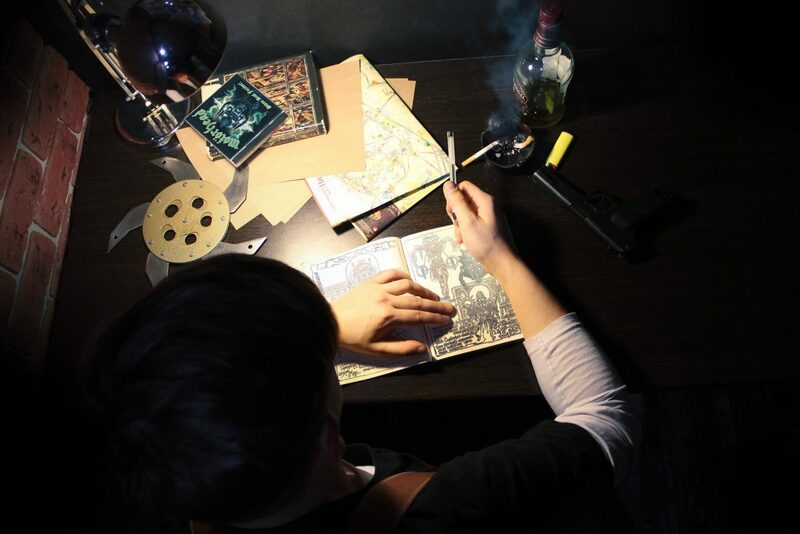 *Please note that the journal picture is a conceptual image only and the final product may be slightly different.